Throughout the day, a person has a multitude of occasions in which to flash their pearly whites before the world. In an ideal situation, you should be able to smile confidently. A smile is no less than an inclination of a healthy personality. Although a small gesture, it plays an important role in drastically enhancing the face value. Unfortunately, some people find it difficult to showcase their smile direct and this, my friends, is a cause for concern. If you’re hiding behind your laughter to avoid exposing your teeth or gums, you need to read these dental facts and tips for a healthier smile. Good oral hygiene will do a world of good for anyone, especially if you have braces, but you need to use specific techniques. No worries. You’re in the right place to make sure you’re getting the best dental facts and tips for a healthier smile. We will discuss a few tried and true mouth health tips, plus some natural remedies as well. We are so engrossed with the outward appearance of the teeth we neglect other places in the mouth equally vulnerable to harmful bacterias, especially the spaces. This makes flossing a necessity on a daily basis. According to the WebMD not only does flossing help to remove food particles stuck between the teeth, but also makes for the promotion of a healthy mouth overall. Dentists are the ones who can reveal the true nature of your teeth to you. Their expertise proves to be helpful in finding issues you might face in the future. 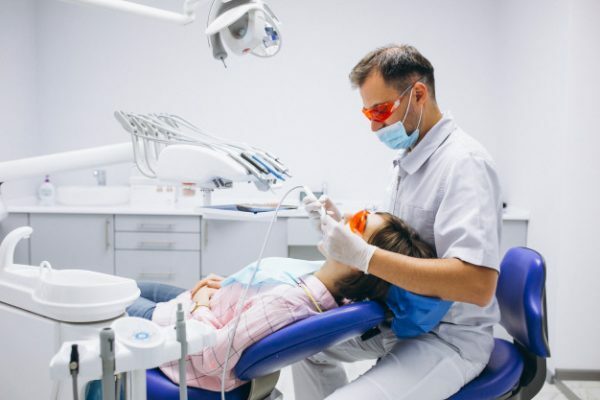 In the case you do have potential problems, Sedation Dentistry has made it easy for dentists to conduct treatments which enables the patients to avoid excruciating pain with dental sedation. But why wait for conditions to get to that point? Prevention is always better than the cure and in most instances, less expensive. In light of this, make sure you set up an appointment with your dentist or orthodontics once every six months to get the latest dental facts and tips and to know if there are any imminent dental problems. Smoking causes staining of the teeth over a period of time. Although the stain caused by smoking a cigarette can be removed, it’s embedded in the enamel of the teeth and is more difficult to remove after repeated exposure. 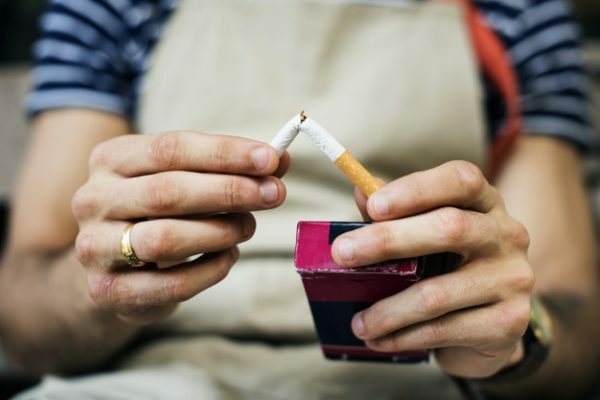 Quitting the cigarette habit can save you from many consequences, including those connected with your dental health. Unfortunately, it gets worse: smoking also causes tooth decay to the extent restoration practices seems to show no signs of improvement either. Gage Dental Care suggests it can also cause negative effects on the gums. This makes it imperative to seriously consider quitting. Large pockets seem to appear around the teeth with regular usage of cigarettes and can even make the mouth appear darker than before. Now, this can lead to excess inflammation and the onset of periodontal disease. On a positive note, the procedures involving dental treatments have become highly efficient in the present times. Supplies such as EZ IO Needles are used to administer medicines and depending upon the size and shape, gain access to the patient’s bones, making dental treatments easier. Other than brushing your teeth, rinsing your mouth every day with an alcohol-free mouthwash will help your mouth to stay fresh. How do you know your breath stinks? Well, when no one is looking, lick the palm of your hand and sniff it while it’s still moist. If you don’t like the smell, imagine what other people will think. It may be time to wash your mouth out, but don’t do it with soap. Try Crest, Listerine, or your favorite mouthwash. If you don’t have a mouthwash or prefer to use a natural rinse, apple cider vinegar will help to remove teeth stains and stop bacteria in its tracks. Swish before you brush to get the full effect from this natural treatment for a healthier smile. There are some drinks which cause yellowing of the teeth, which includes the likes of tea, coffee, and red wine. 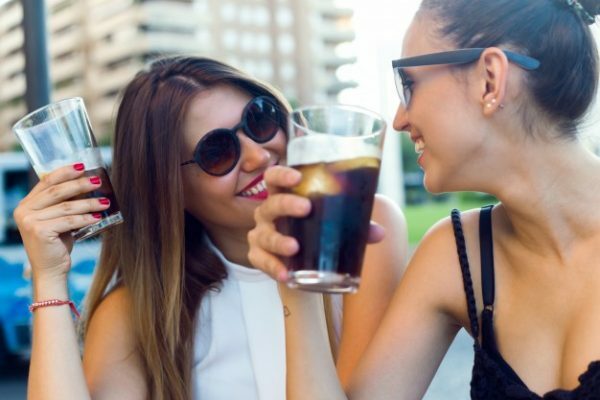 If you consume these beverages on a regular basis, they can lead to permanent teeth staining. Beverages such as coke, coffee, and wine stain the teeth. It’s a good idea to brush or rinse after consuming these drinks. Use a straw the next time you have a drink. Sipping through a straw will prevent direct contact of these drinks to the teeth and commit the least damage overall. Another way would be to rinse your mouth with water immediately after you get done with drinking these kinds of beverages to wash off the staining substances. If you check the dental facts and tips for a healthier smile, you know nutrition plays a vital role when it comes to the maintenance and sturdiness of the teeth. Make sure you consume a balanced diet, comprising of fruits, vegetables, seeds, and whole grains. It is also imperative to eat foods rich in calcium, such as salmon, cheese, yogurt, tofu, and green leafy vegetables. Calcium is one of the most important minerals for teeth help and ensures that they remain stronger for years to come. Besides calcium, nutrients such as proteins, phosphorus, and Vitamin C can also aid the promotion of oral health. To get a good dosage of these, eat foods ranging from eggs, broccoli, nuts, fish, citrus fruit, carrots, and tomatoes in your everyday diet. One of the main reasons for bad breath is bacteria buildup on our tongues. Bad breath is embarrassing, to say the least. In an effort to freshen the mouth, use a tongue scraper when you brush. It’s proven to be more effective than using your toothbrush. Brazil’s San Paulo University completed a study which showed a basic tongue scraper is capable of removing up to 75% of the yucky substance that causes foul breath while the toothbrush removed only 45% of the bacteria. Replacing your old toothbrush with a fresh one is one of the dental facts and tips for a healthier smile many people overlook. Change your soft bristle brushes out about every three months or as the seasons’ change. This is a good reminder to help you maintain this healthy habit. Remember to brush frequently – when you wake, before you go to bed and if you can, after meals. I’m sure you’ve seen the ads on TV. An electric toothbrush is known to clean the teeth even more effectively than the conventional toothbrush. According to another study published in PubMed, a powered toothbrush has the ability to lower the inflammation of the gum, remove plaque, and help in the prevention of tooth decay. The reason it functions well is that it gets to those hard-to-reach places in the mouth. It also applies the appropriate amount of pressure on the teeth and is not hard on the gums. Still, doctors recommend brushing twice in a day to ensure optimum oral health. For as long as I can remember, the elders have been passing down baking their personal care secrets, including numerous dental tips and tricks. They highly recommend baking soda for fresh breath and white teeth. If it wasn’t true, brands wouldn’t add this simple white powdery substance to their teeth whitening formula. Out of baking soda? Put some salt on your toothbrush as an alternate. When you don’t have access to a toothbrush or dental floss, use a mouthwash that not only freshens but kills bacteria. However, rinsing won’t replace daily brushing or flossing, but as a temporary measure, it will get the job done. If you don’t have any mouthwash available and you can’t use the apple cider vinegar mouthwash, warm water will provide some protection until you can brush or use mouthwash. It’s always good to have a backup plan. 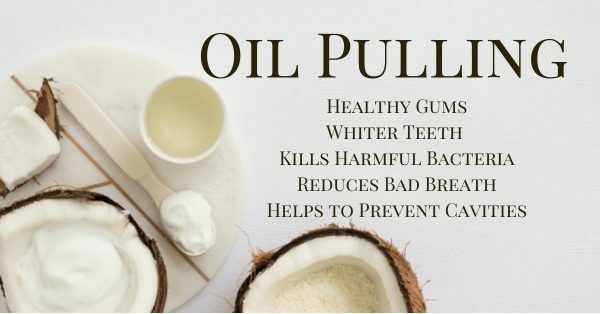 Oil pulling, as part of regular dental hygiene, can provide plenty of benefits. It freshens your breath, removes food particles and plaque, as well as the bad bacteria on your tongue. Ideally, you can do oil pulling using coconut oil but there are a few different oils you can use as options. There are many benefits of oil pulling, some may surprise you. Photo by Freepik, graphic made with Canva. Start by pulling each day for about 15-20 minutes. This will take some practice, but you should treat oil pulling as you would mouthwash. Be careful not to swallow the oil as it contains bacteria that could be harmful to your body. Natural tooth care is much less expensive than a trip to the dentist. Most DIY recipes are easily made at home and are healthy even for young children. They usually don’t contain harmful ingredients, so if they accidentally swallow some, there’s no need for alarm. All it takes is making the right choices to have a healthier smile. Choose to put down the coffee or wine, stop smoking and floss on a regular basis. You also want to avoid putting a lot of sugar in your mouth as well. If you can’t brush after meals or after eating sweets, use water to rinse out the food left behind in your mouth. Ultimately, routine brushing, flossing, and checkups will prevent gum disease. 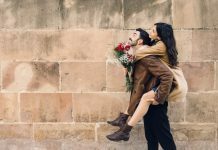 These handy dental facts and tips for a healthier smile are not only easy to follow but are highly efficient when it comes to maintaining oral hygiene. Make sure you follow these on a consistent basis and smile with your beautiful self! 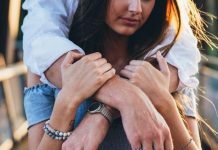 This blog was researched and written by Leza Miles and Ross Geller. Ross is a blogger who loves to help others, especially when it comes to their health and dental practices. He has written many informative blogs on personal development and knows a thing or two about unique gifting.